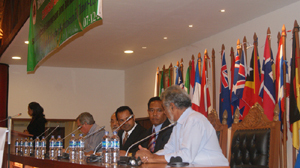 Since this is my very first time attending this meeting, first of all, please allow me, on behalf of Timor-Leste, to congratulate your nomination to chair this important meeting and we wish you, under your leadership, the second resumed 9th session of IRG meeting will be implemented successfully and reach its objectives. I would like also to take this opportunity, to express our sincere gratitude to the UNODC and the Secretariat of IRG, who has been working tirelessly to prepare this very important event, especially to facilitate our country to attend this meeting. 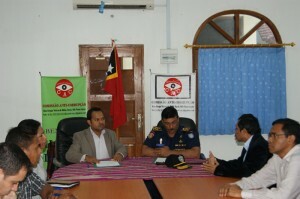 Timor-Leste has completed the implementation of the first cycle review. 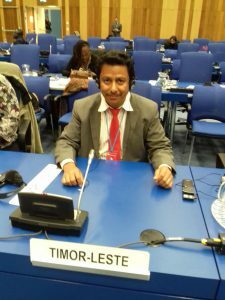 The progress implementation of the recommendations had already reported to the 7th UNCAC IRG meeting on 20-24 June 2016, by our representative from Timor-Leste. I would like to reemphasize that as a country, we are aware of the importance of UNCAC, and we have been taken serious actions to implement the recommendations, even though, we are still struggling to reach agreement on some recommendations, especially the content of the anti-corruption law. However, we keep putting efforts to implement the UNCAC recommendations fully. It is a matter of time and resources. 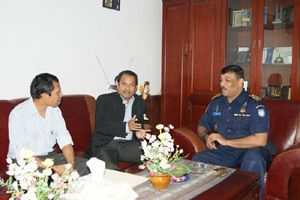 Therefore, please allow me not to repeat again the progress report of the implementation of the first cycle. I would rather update the implementation of the second cycle review of UNCAC to madam chair and this forum. I am pleased to inform you that we are in the process of implementing the second cycle of the UNCAC review, which is supposed to be implemented last year. 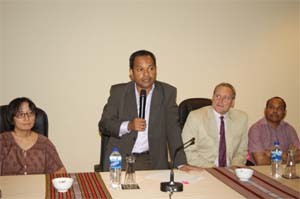 It was postponed to this year, due to the implementation of two General Elections (Parliamentary and Presidential Elections) in Timor-Leste. 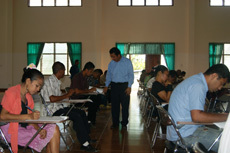 Soon after the election, the political dynamic in Timor-Leste has caused the unexpected result, and politically we were obliged to have an Early Election, that takes place at the time when Timor-Leste was subjected to undergo the review for the second cycle of UNCAC, which was postponed from last year. Even though, the slowness in political negotiation to form new government which has slow down as well the process of the implementation of the second cycle review and the appointment of the new commissioner which is still vacant until now, however, the new government has indicated strong political will to fight corruption, as it is reflected in the new governance structure. While keeping the office the State General Inspector, continuing improvement of the E-government programs, the new government also established the Office of Legislative Reform with its significant mandates to prevent and fight against corruption. 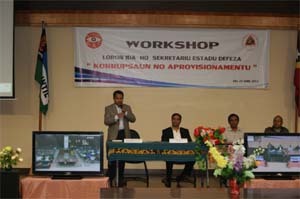 Moreover, the components of Good Governance has reflected into a number of programs such as strengthening cooperation in fighting corruption, legislative reforms, continuing to improve E-government (budgeting, planning, payment, monitoring), and reinforcing the internal control mechanism, and strengthening public awareness on anti-corruption. 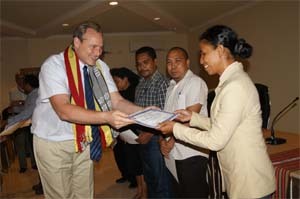 Meanwhile, the Anti-Corruption Commission (ACC) Timor-Leste, in cooperation with the Ministry of Foreign Affairs had nominated the focal-points representing Timor-Leste in the second cycle Self-Assessment review. 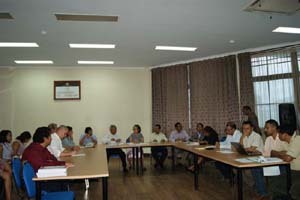 The ACC Timor-Leste has also started meetings with relevant institutions and the new government, especially Office of Ministry Legislative Reforms and Parliamentary Affairs, to discuss UNCAC review, including the national consultation to finalize the Draft Anti-Corruption Law and National Strategy Plan to prevent and combat corruption. The intensive communication with UNODC regional Bangkok on this matter has significantly consolidated our collective actions. Some proven progress has been made, such as; our government agreed to co-sign the invitation with UNODC Regional Bangkok and the ACC TL to conduct two national workshops on UNCAC review and national consultation of the draft Anti-Corruption law. 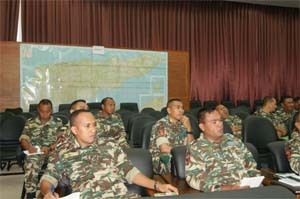 The events will be held next week, from 21-23 November 2018 in Dili. 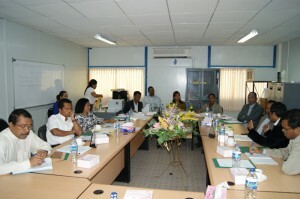 The workshops will be facilitated by UNODC regional Bangkok. It is planned approximately 31 institutions from public & private sectors, and civil society & academic will participate in these events. Considering the magnitude of the collective actions against corruption, the Government through the Office of Minister of Legislative Reforms and Parliamentary Affairs is keen and committed to supporting the process of the development of the National Strategic Plan to prevent and combat corruption. 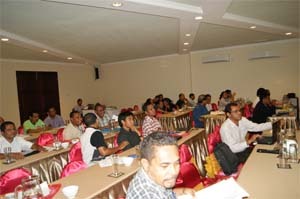 The process will be kick off with a National Conference, which will involve local and national bodies. The event tentatively will be held in early next year. 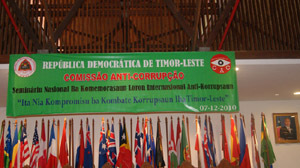 Timor-Leste is a new country with very competitive priorities, will continue to put efforts to fight against the endemic of corruption. While we are dealing with so many priorities and lack of professional capacities to undertake complex works, we learned as a Wiseman said that “Rome is not built in one night”. We aware that to build a new county, it should be meticulous and with utmost care, but it must be consistent with unreserved courage. We are in this process. 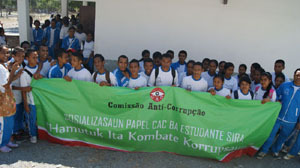 And we are also aware that fighting corruption does not happen overnight. Therefore, we will be definitely, to keep seeking the international supports (Technical Assistant), to assist us to stand FIRM, in building a future with a strong culture of rejection of corruption, as it is stated in our vision. 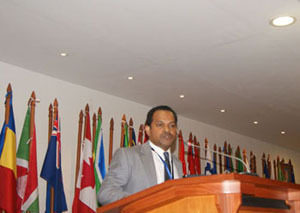 Thank you so much Madam Chair, distinguished delegates, panelists, ladies and gentlemen for your kind attention.